No biz like this filmbiz? The busy side of Cannes. 2018 & in the days to come. The present and future Cannes film fest as a business environment. This years “Cannes vs.Netflix” dispute is just the tip of the Iceberg. Cannes business meeting needs to rethink its approach to the future. Cannes film festival. Most relevant film festival in the world. And at the same time the most significant and most important marketplace for feature film globally. It was my pleasure to attend the 71st edition of the Festival de Cannes. This year especially as, — unfortunately — chances are good, this party might be over in the very near future. For all I say in the following text, please keep in mind that, every time I write Cannes, I mean the film market. It is the business part of the film fest, and I attend it for almost 20 years now to do business. It’s necessary to point out this difference, as this is how things around town are arranged right now during the film fest. 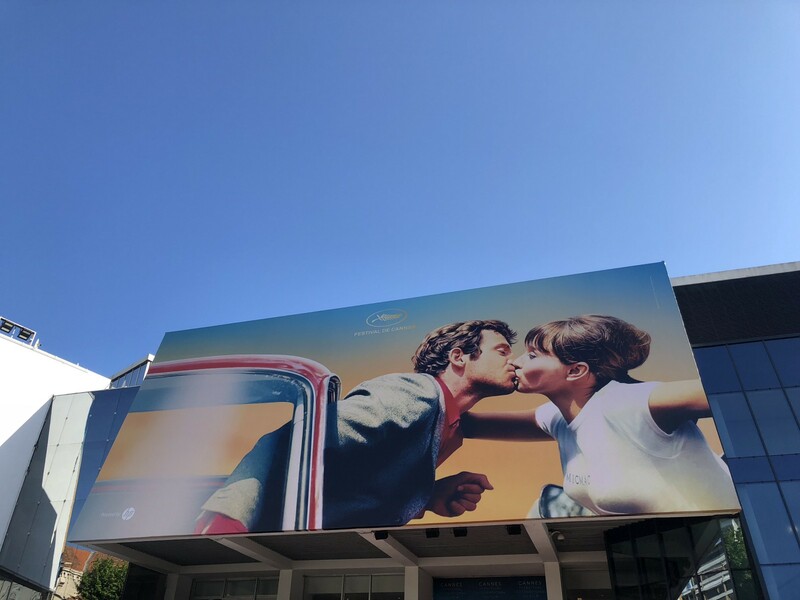 Many people arrive in Cannes just for the pleasure of watching films, to hang out “vacation style” in the beautiful surrounding of the famous Mediterranean small town. While folks like myself arrive to be busy as hell from second one on until the end. So, in some ways, two different main groups are co-existing along the Croisette while the festival is happening. Which is part of the fun from my POV. And which is why I think, the festival needs to take care of the future of its business unit carefully but drastically. As, saying all the above, I always think, it’s a bit unfortunate that things have to be separated this way. For me, the interconnection between festival and market is deep and wide, a real symbiosis. And a big perk, the festival should pay more attention to. Could one thing exist well without the other? Generally spoken: Yes. By closer look: No. The quality level never would be the same. Sure, the festival could survive without the market. Many festivals do so. But they are just less attractive in general. As many film industry key people do care way less about such a festival. An act of ignorance that usually leads to a less attractive selection of festival titles. Could the market live without the festival? Yes. But neither on the same quality level. As many industry people come into town trying to pick up future trends in filmmaking by looking at what the tastemakers on the festival side curated into the program, defining what they see as the current state of the art of feature film. So, sure, the festival, the competition is vital as well for us “industry people”, as people like me do call ourselves during festival times. The official competition is also relevant for me personally, as I’m in the game because I love film. So, sometimes, we even make time to find an occasion to join the crowd and to walk the red carpet. Bottomline: Yes, in itself, for all of us attending, the Festival de Cannes is indeed this glamorous, fabulous, mystic, cinema lovers- and a celebrity-filled piece of heaven celebrating feature films, as you get told about in the news. Just, that my main reason to go to Cannes every spring is business. 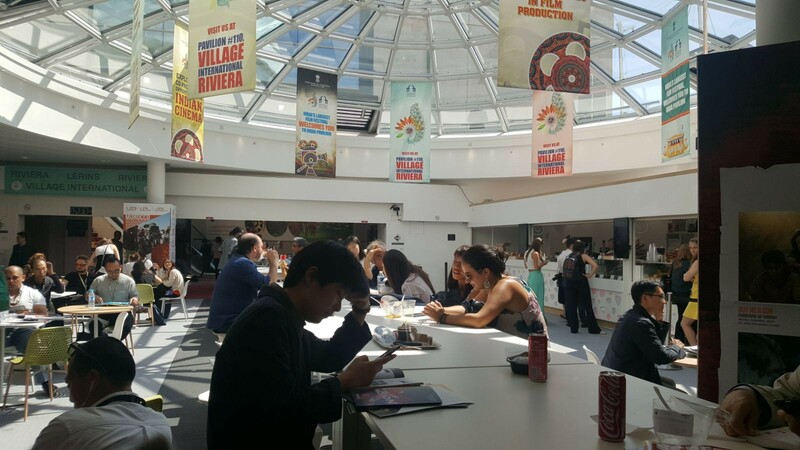 For a couple of days, the Palais de Festival, the streets of Cannes, its apartments, pop-up industry pavilions, restaurants and cafes become my meeting rooms and offices. Furthermore, I should explicitly mention, that my Cannes business days do not have anything to do with the business style as featured widely in the news and hence being perceived as a “Cannes Film business standard”. Neither do I fly in and out of La Bocca Airport with my private jet several times during the festival, nor do I usually spend a five to six figure number on a single reception, lunch or dinner. I don’t stay in places where one night costs the equivalent of a small car. And I do not spend most of my time hanging out on a yacht bigger than a house. (OK, although, I admit: some things mentioned might cross my path during my days around the Côte occasionally as well. But it is by far not my standard day. Promised. 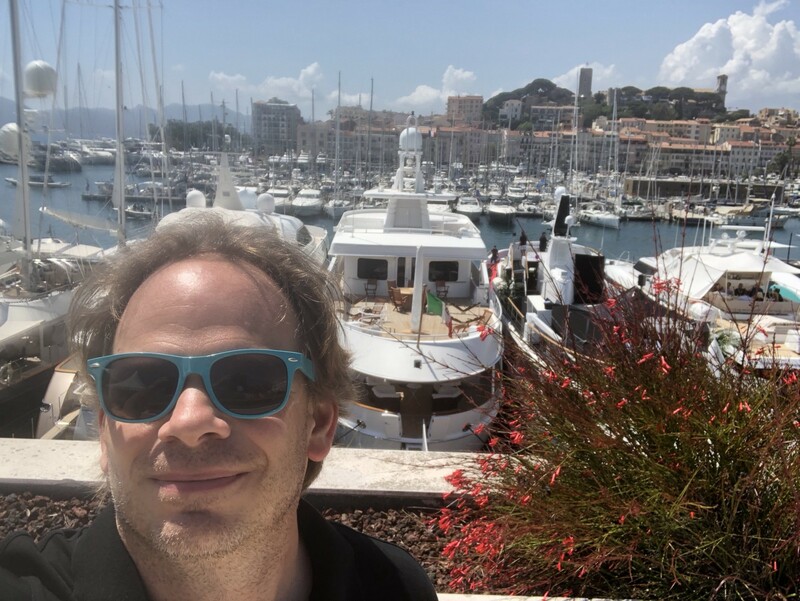 :-) ) For the most part, I walk the Croisette and its busy sidestreets, moving from one Cafe or restaurant to another apartment-become-popup-office to another reception. Admittedly, all in all, a brilliant way to do business. Unfortunately, maybe a brilliantly outdated way to do business pretty soon. Unless the Festival de Cannes does start to relate more to the changing times. I know, the task at hand is enormous. 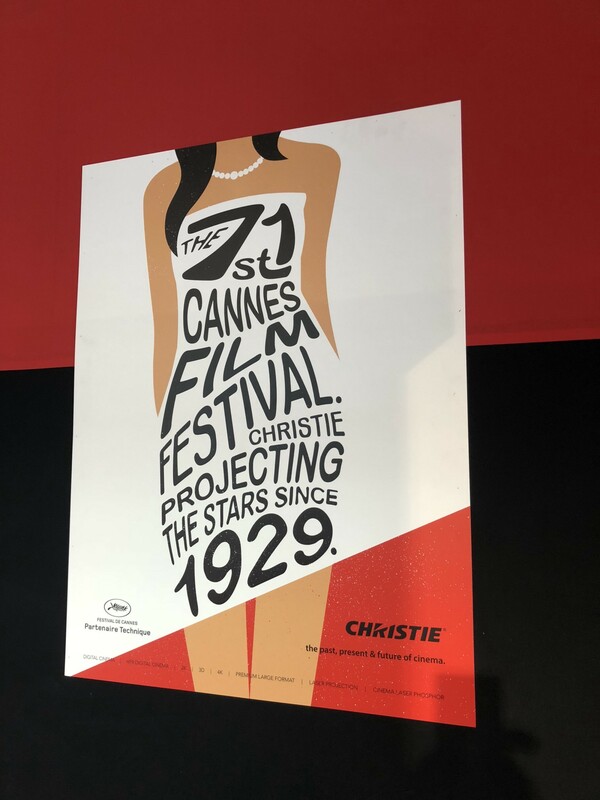 And most things mentioned are not just a challenge for the Festival de Cannes but all other film festivals existing with a so far strong foothold in the business side of things as well. But this challenge to redefine the future — it has to be taken on. Now. Otherwise, especially this unique combination of industry gathering, business and festival on the shores of the Mediterranean sea might be at risk to go extinct in no time. Why is Cannes at risk especially? Unlike Festivals such as Berlinale or Tribeca in NYC, hardly anybody out of the film industry lives in Cannes year round. Everyone attending the festival travels there. (Even the festival team itself has its central office in Paris.) So, to make a world class gathering happen along Cannes Harbour, such event has to be pretty attractive. Otherwise, people will save on their time, money and effort and refuse to show. Plus, big PLUS, especially as this little town of Cannes is not exactly a haven for discounts. Some call it expensive, some even ridiculously expensive. Also, over the years, my observation was, that most folk like the Festival de Cannes more then they do like Cannes itself. I find this remarkable, as I personally really do love the town with or without the event. But over and over, people do tell me quite often, they would never show up in this part of the world if it wasn’t for the festival. So what could be done to create the Cannes film business gathering of the future? The official marketplace: Un-Exhibition needed. Quantity dies. Quality matters. Hence, if you go to meet people in person today and in the future, it’s more about deepening the relationship with the other person then anything else. Hence, if you meet people, you prefer increasingly to do that in a focused way in a rather laid back, tranquil environment. However, the Palais des festivals et des congrès de Cannes, hosting the annual Marché du Film in its underbelly (being the Grand Theater Lumiere = central festival cinema, the one with THE red carpet, in its upper parts of the building) does not offer much of these increasingly looked after requirements. The building dating back in its original incarnation to 1982, was designed to host what once was considered the ne plus ultra of conferences, trade shows or exhibitions. With huge, bad aired, noisy halls designed to be separated into sales booths by temp cardboard walls, again and again for whatever event happens. A lack of windows providing next to no daylight at all. Supported on the sidelines by a bunch of rather tiny spaces to give presentations or host gatherings and meetings. In other words: A practical architecture design approach to enable business people to meet a ton of folks in a short amount of time, while selling and signing as many territory contracts as possible in an out-and-out efficient way. However, today and increasingly in the future, instead we need more of the exact opposite: Flexible, elegant meeting spaces in a private, calm atmosphere, reflecting a sense of Hygge-meets-Southern-France-lifestyle. Groovy places, tailor-made to convince that one buyer representing many territories if not the entire world (“Hello, Mrs. Flix” 😊), to consider your project being the best deal ever, based on presenting sometimes multifaceted sales facts, complex numbers and multilayered product structures. And let’s talk screening rooms and cinemas. From the FILM-festival-POV, Cannes would desperately need an upgrade on these since at least a decade. The cinemas in town are rather aged, and mostly beyond contemporary charming. The festival screening rooms in the Palais are anything but state of the art. If the theatrical industry outside of the Cannes fest offered a standard like this one, all cinemas would have died a long time ago already. 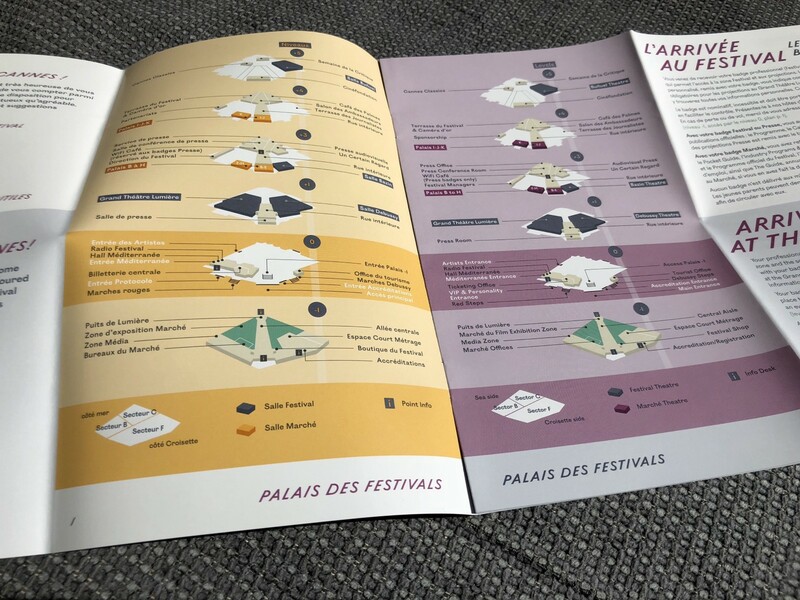 In any case, no Cannes film venue beside the Grande Palais is in any form a truly attractive advertisement for what the Festival itself claims to be primarily about: Watching films in cinemas. This situation is not even unpleasant anymore. The absence of contemporary 2018 style cinema in Cannes beyond the Gala Screening Room is just rather profoundly saddening. Arclight to the rescue, please. At the Marché du Film, in the Palais, it does not help from my POV, that the Marché is almost continually experimenting with new layouts and sizes for the spaces they rent out. Because, whatever they do, in the end, since decades, the upper floor feels like an empty space between the booths. Meanwhile, no one seems able to generate something substantial out of the vast, lush landscapes of terraces running all around the building (probably the most ignored piece of prime conference real estate globally). The buildings middle floor stays an ever-confusing, never really appealing maze. While the basement seems doomed forever to be part dubious naked walls (hiding all sorts of business “centers”), and part “here we put everything we don’t want above” floor. Sometimes, walking around the Palais, I let my imagination flow … How awesome it all could be. A structure for business, in the middle of the harbour and the beaches. Glass walls spoiling the place with the famous light of the Côte while intelligent construction brings natural ventilation on hot days. Coffee places. Private meeting tents on the terraces, I could rent on demand just for a couple of hours. Views to the ships, to the city, to the Mare. Even a closer connection to the festival itself would be desirable. As right now, there is very little connection between the Red Carpet area, the industry area or the press area. Zaha Hadid’s firm to the rescue. S’il Vous plaît. Something that got forced on the Cannes Festival and market as well as on all public meeting places is the challenge of the constantly rising demand for more and more security measures. As in airports, it all started after 9/11, and a fanatic driving a truck into crowds in Nizza hasn’t helped to relax the measures. So, the handbag screening and police presence will not go away any time soon. That’s why, finally, it is time for the festival to come up with better approaches to watch, control, observe its guests than the temporary solutions they prolong for almost two decades now. Attending the marketplace of the future, I don’t want to sweat in the blistering sun nor do I want to stand in the rain, while waiting to get myself and my equipment security checked. From my perspective, a professional marketplace deserves more professional solutions to this. And, here again, I think a more integral approach to everything “Festival and Film-Market” could be of help. All the separate groups (mainly: industry, press, competition audience, gala event audience) invariably get security screened. Again and again. Why not creating one big entrance space for all people and, after that, check on tickets along the way for the respective space people are headed to? For example. Again, I know, this is a significant structural task. But things will not get any better over time, if this is not taken on. The private marketplace = the future? “My apartment. My boat. My office.”? 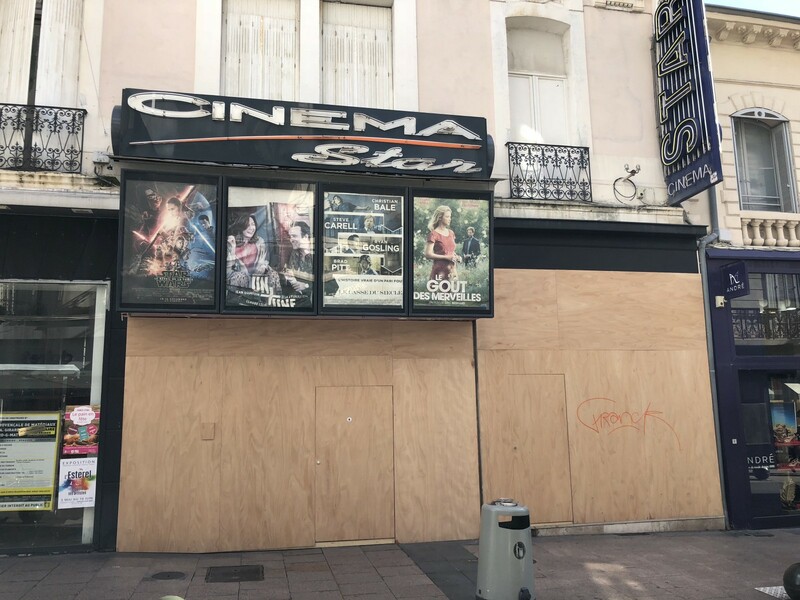 It’s been a tradition in Cannes for a long time, probably way before I first set foot into town, that many companies and individuals dodge the official grounds of the Marché du Film in favour of apartments or yachts they rent. 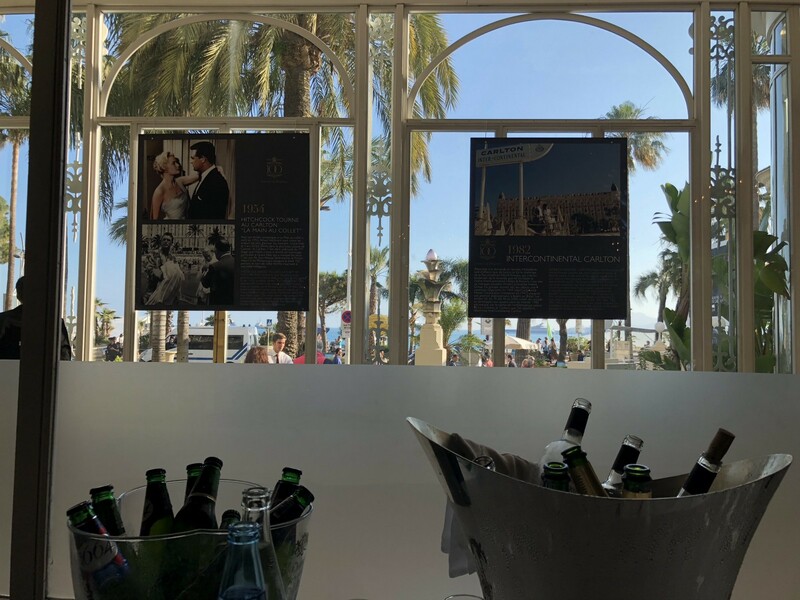 The advantages are obvious: Total privacy, better food, better drinks, better views (most apartments sit along and high above the Croisette, offering fantastic views), better control over the how to present one’s business, better ways to express one’s self. Not to mention the pure manifestation of economic muscle owned by those, who afford the biggest boats. This way, the business part of the Cannes festival has spread out over most of Cannes downtown. Allowing for unusual locations for receptions, always offering ways for people to meet and gather no matter what happens at the Palais or not. So yes, at least in part, here it is already on offer, what I claim is missing around the Palais. But — but! — once again, as so often in life, the whole is more than the sum of its parts. Marché needs town needs Marché needs Festival needs Marché. 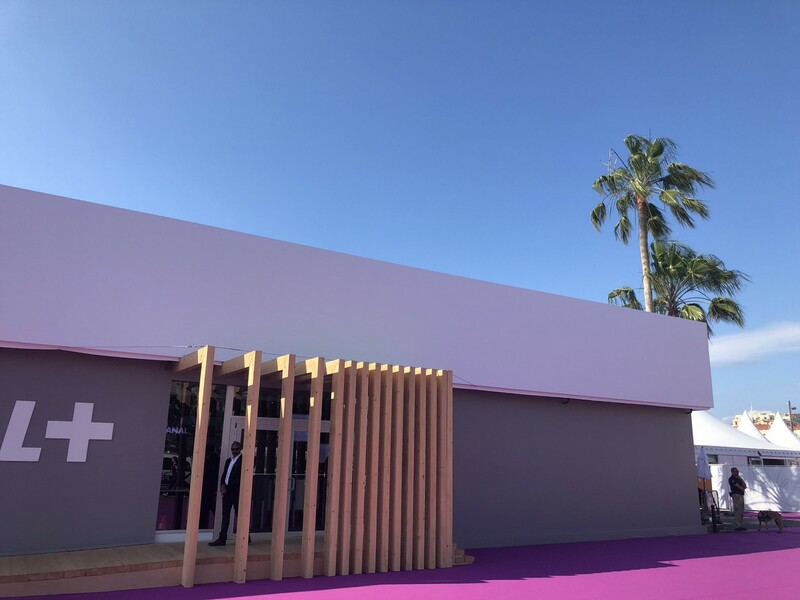 One option for the future of film business at the film festival in Cannes could be like this: The Marché retreats (further) until it essentially becomes more or less a virtual IP. It then would exist mainly thru its web presence and databases (Cinando, and — hopefully — far beyond) and by renting out a couple of cosy chairs and pavilions for official functions or national representation efforts. All this, while the Sponsor-Meets-Celebrity-Meets-Film-Machine continues upstairs as the well-oiled giant it is already. In that scenario, all other business players who need more then a chair at a Café would automatically move somewhere else across town. But this would be my worst case scenario. To be avoided at all cost. As part of the current magic of Cannes is the eclectic and at the same time dynamic mix of all parts of the game. With a festival serving upstairs as the inspiring, guiding light and career goal for so many slaving away at the market downstairs, often busy to create the festival-films of the next years. And the Marché serving to offer and organise a platform in precisely the spirit of the Festival de Cannes with all its sidebars, side programmes, talent incentives and promotional elements that annually opens up a blanc canvas for current future generations of creators to paint on. 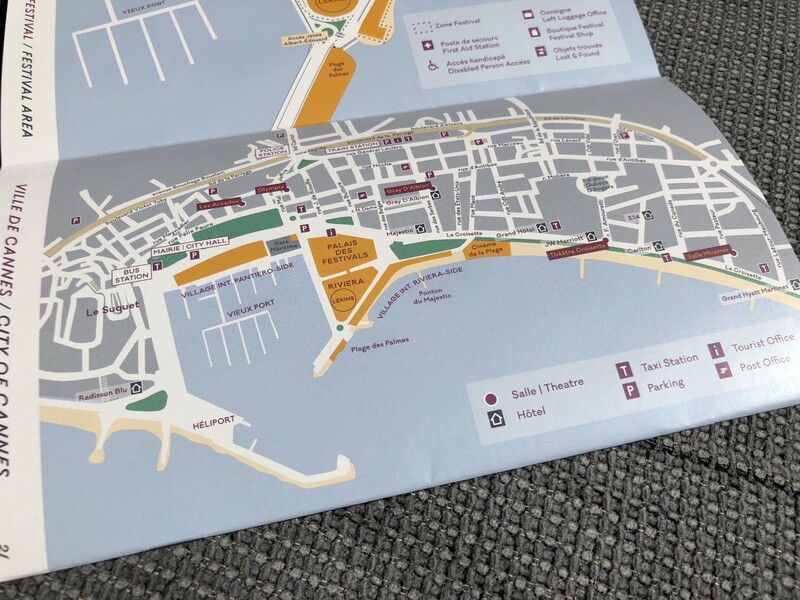 Including the town of Cannes with all its landlords, coffee places and restaurant owners looking forward to the festival business happening once the crowds arrives to work and celebrate. Including those high flying individuals, who are willing and able to rent apartments and boats to contribute high end style by offering opportunity, money influx and the necessary business approach to push the entire vehicle forward from their side. It can not be written often enough: Not a single element of all these is the same without the other. And all of them will prosper best, if they can co-exist together in the future as well. But to make this happen, the Festival de Cannes will have to ramp up its game to become ready for the future. Far more prepared, then it appeared this year. Not even Cannes can fight the way of the world unless it adapts. 2018 clearly showed where the risks sit for the Cannes Festival, where Innovation needs to happen. Given the very slow first week in the market, being equally perceived so by the trades and the industry attendees. 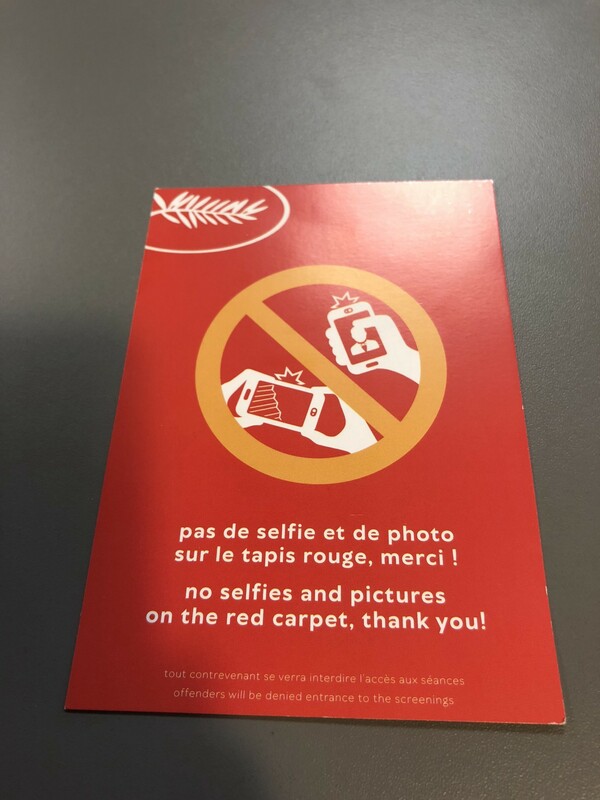 Given the inglorious “Selfie Ban” that caused more mainstream press coverage than most of the films in the festival. — “Hello, Festival de Cannes? Instagram anyone?” — Given the festival drove not just one but two major players in the contemporary film landscape out of town, with Netflix and Amazon pulling out of anything official Cannes related. 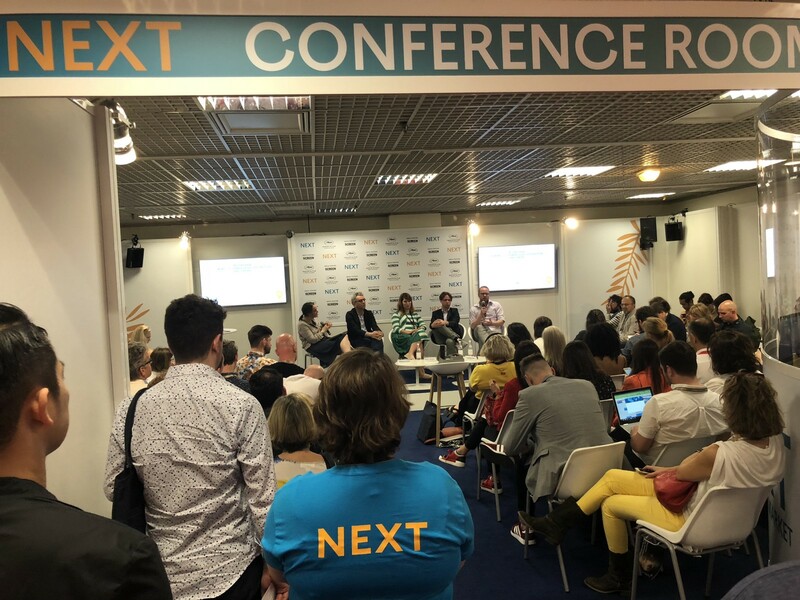 Given that the so-called “Next” space, a section of the Marché where Tech- and AR/VR-Content industry players were able to present, was “hidden” in the basement of the Palais. Therefore, rather yesterday then tomorrow, Cannes organisers need to realise that everything on this planet is impermanent. As trends can come and go, festivals can come and go. Even those, that so far claim to have an almost god-like status.